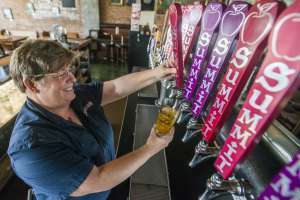 Fort Collins is home to more than 20 craft breweries, including the fourth largest craft brewer in the U.S., New Belgium Brewing Co. With new Fort Collins&apos; breweries popping up all over the city, there is always something fun to enjoy. 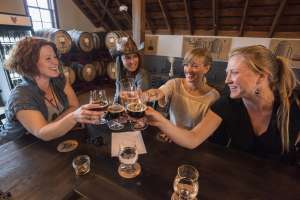 On any given day, tourists and locals alike flock to the craft breweries to enjoy a cold and frothy craft beer and some quality down time. Adding to the craft scene are craft cideries, which also happen to be gathering a big following in the Fort Collins community. So, if you find yourself in need of quenching your thirst, make your way on out to explore the range of craft beverage offerings in Fort Collins. 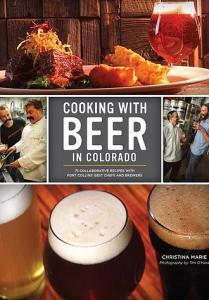 Co oking with Beer in Colorado includes 75 beerlicious collaborative recipes from the best chefs and brewers of Fort Collins, the “Craft Beer Capital of Colorado. Author Christina Marie is a collaborator and culinary entrepreneur with a Ph.D. in Culinary Tourism from Colorado State University. Her current research is focused on commercial service experience applied to both breweries and restaurants. From the local cookbook, Cooking with Beer in Colorado. Photos by Tim O’Hara. Crooked Stave came back home to Fort Collins in early 2019. The brewery first started in the Choice City and then decided to move it&apos;s operation to Denver in 2010. Alas, Crooked Stave decided to open its second location in its original home of Fort Collins. The brewery is a modern artisan brewery that has a quality driven focus on producing great beer through science, art and passion. Crooked Stave can be found in The Exchange, which is a hip, creative plaza in north, downtown Fort Collins that houses businesses in shipping container cars. Envy Brewing joined the Fort Collins community in February of 2019, adding to the craft beer presence on the south end of town. 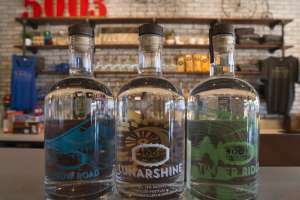 In addition to beer, Envy also has a full kitchen and offers select Colorado-made spirits. Envy considers itself a community-centric brewery that welcomes collaboration with local microbreweries and home brewers alike. Red Truck is a Vancouver-based Canadian brewery that has brought its beer to Fort Collins. The brewery has ingrained itself into the community with its hyper-local focus. Not only does Red Truck offer great craft beer, it also has a restaurant with a full food menu with offerings from breakfast to burgers and BBQ. Give their Truck Stop Lager or Red IPA a try, you won&apos;t be disappointed. 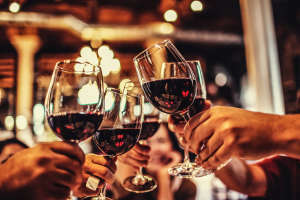 Sip and swirl at a local winery and learn about viniculture. Ten Bears Winery just down the road in Laporte offers visitors the chance to enjoy local win of the region.